Hi Everyone! I’m in my first trail town just in time to celebrate my on millionth view on the blog yesterday! If you looked at the blog on April 19th, you may have been number 1,000,000. Seriously, ONE MILLION! Just looking at the number right now is pretty crazy. This number doesn’t include all of you that subscribe via email or another feed because you usually don’t view that actual website, so the number is actually much higher. Well, you know me, I couldn’t let this pass without listing some of the stats so here they are real quick. Most viewed post is my Complete PCT Gear Review with 15, 824 views. Most viewed tab is my CDT 2013 tab with 34, 359 views. 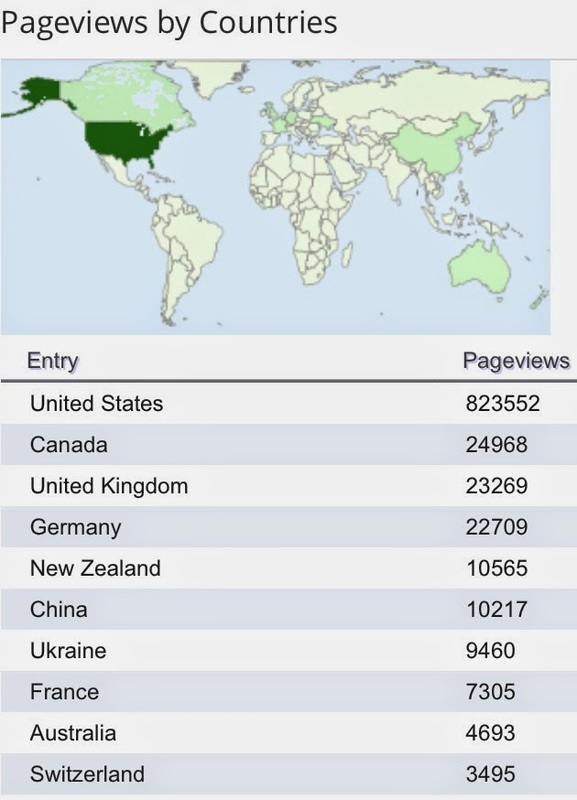 Here is my favorite visual stat, pageviews by countries. It doesn’t include all countries, but here are the top ones…I’ve had lots of unique ones and I’m bummed I can’t get it to list ALL the countries. Really cool though. 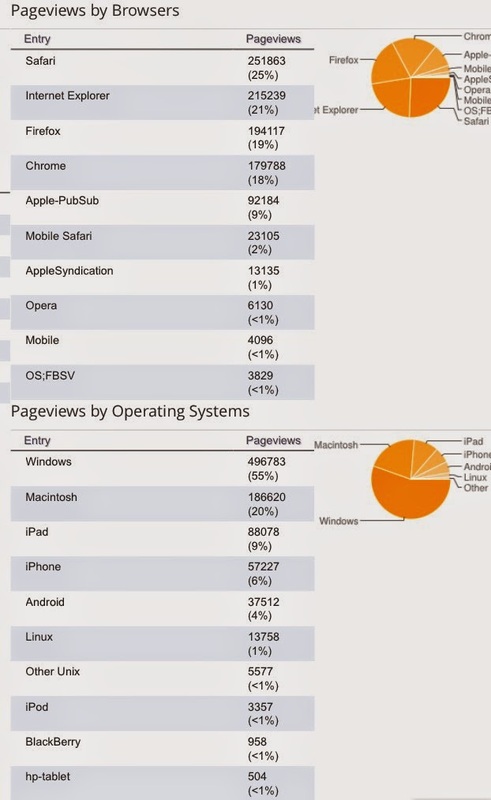 And here are the stats to show what type of browser the blog tends to be viewed on. All of this is very surreal and I wanted to celebrate it with all of you because that’s why I do this. Knowing that this is reaching and inspiring people all over the world is what makes it worth all the effort to blog from the trail. Plus, it’s a huge motivator, so THANKS for keeping me so WIRED!